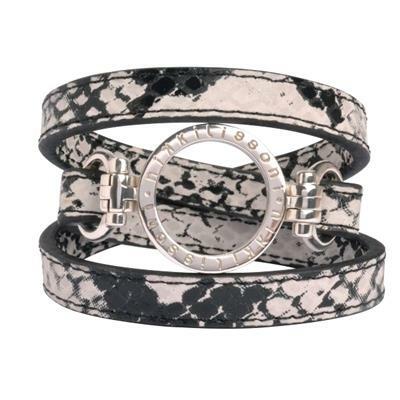 Add a fabulous bracelet to your Nikki Lissoni collection and wear your favourite coins in a new way. This textured Snakeskin Leather design has a Silver plated carrier set in the middle for you to add your favourite small sized coin! Choose from a beautiful selection of 23mm coins in gold, rose gold and silver and create a unique accessory to fit your style.